Compliments to VinePair.com for the following story. 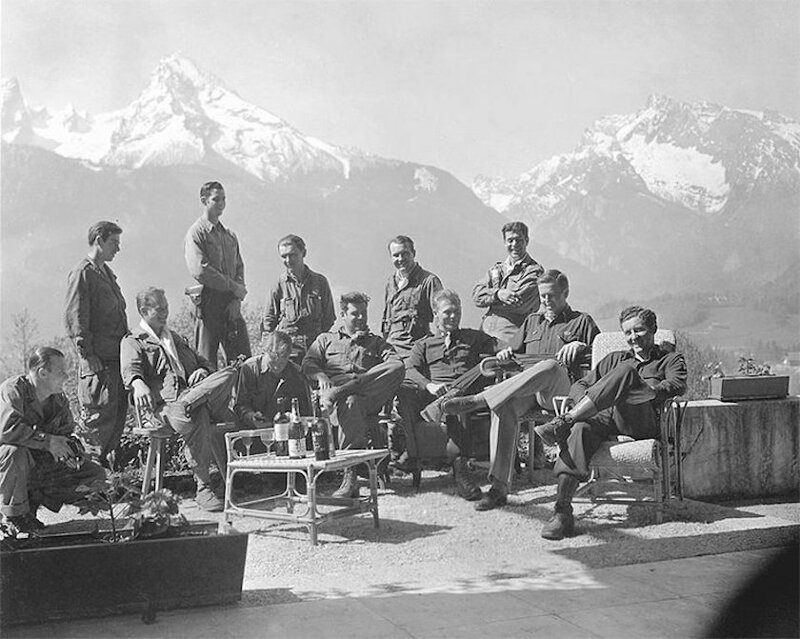 As WWII drew to a close, and Adolph Hitler committed suicide, American and French armed forces closed in on the Führer’s compound in the Bavarian Alps. 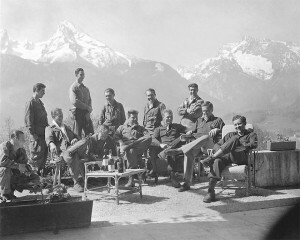 The American 3rd Infantry Division and the French 2nd Armored Division raced to the resort town of Berchtesgaden. The alpine village was home to vacation villas belonging to high-ranking Nazi officials, Hitler’s residence, The Berghof, and the Eagle’s Nest (Kehlsteinhaus), which was furthest up the mountain. The allure of capturing Hitler’s personal hideaway was only part of the reason the Americans and the French each maneuvered to make it there first. As the Nazis rolled over Europe they carted all sorts of war spoils back to Berchtesgaden – fine art, jewelry, gold, currency, and a lot of wine. Berchtesgaden was believed to be home to hundreds of thousands of bottles of wine, including the best of the pilfered bottles. To the French, reclaiming the wine was a matter of particular pride, so as both armies closed in on Berchtesgaden, orders were overlooked; first the French and then the Americans attempted to sprint ahead of or around each other. It’s believed that the French reached the final prize, the Eagle’s Nest, before the Americans (though the American’s may have let that occur according to some sources). After an arduous climb to the top, the French discovered roughly half a million bottles of wine, some of the finest vintages of Bordeaux and Burgundy, rare ports and cognacs, and massive quantities of Champagne. The Eagle’s Nest was connected to the complex below by a 407-foot car-sized elevator shaft, which had been blasted out of the mountain itself. 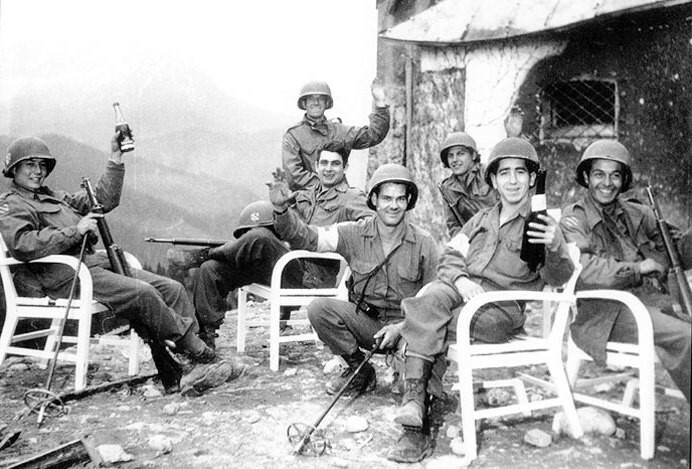 Fleeing German troops had destroyed the elevator – which led to an interesting question: How do you get hundreds of thousands of bottles of wine down a steep mountain. According to Wine & War, Donald & Petie Kladstrup’s fascinating history of wine and WWII, the answer was a convoy of medical stretchers. With help from the Alpine team, the stretchers were carefully lowered a few hundred meters from the peak to where pairs of stretcher-bearers waited below. The stretchers were then carried slowly down the mountain to where tanks, trucks and other military vehicles were waiting. Soldiers stripped their tanks and trucks of everything that was not essential, tossing out clothes, tools, even extra ammunition, to make room for the new cargo. Some of the men emptied their canteens and refilled them with such legendary greats as Latour ’29, Mouton ’34 and Lafite ’37.